I recently received a warning from my doctor that my “bad” cholesterol was getting a little high, considering my heart disease. Not wanting to go back on medicine with painful side effects, I made a commitment to begin exercising again. Typically, I run (well, walk fast) on my treadmill, but this morning I decided to walk fast outside in our neighborhood. Great choice, since I truly enjoy the outdoors in the summer. While making my last turn before heading back, I spotted the “lone tree.” I first noticed this tree while driving to get somewhere in a hurry over the past several months. This day I actually took the time to thoroughly enjoy the beauty in the moment. 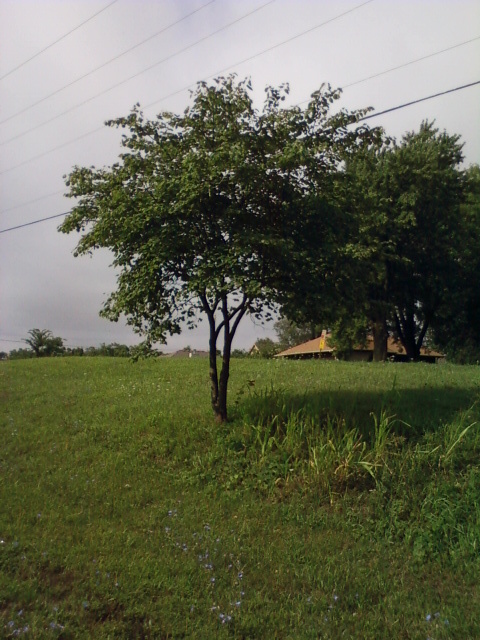 One dainty tree, set aside by God, for all to observe. A little further along, I noticed several yellow finches fluttering about in a God-made garden of wildflowers. Awesome! 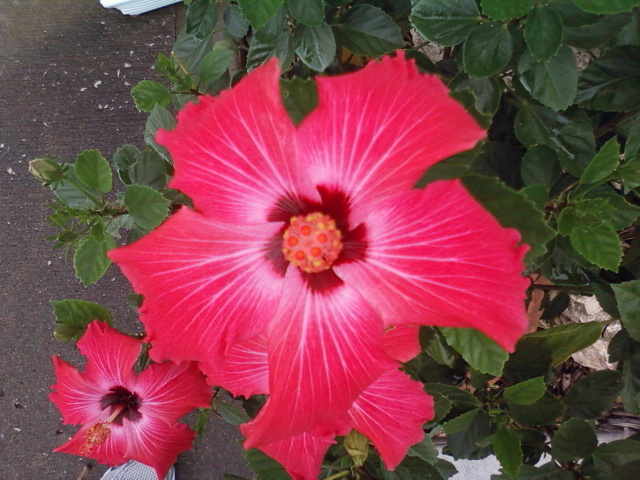 And then, arriving at my driveway, a vibrant bloom on a hibiscus plant caught my eye. Over fifteen years ago, a college professor wisely spoke these words to me. “Be sure not to miss the journey.” At the time, all I could think about was my husband finishing Bible college so we could take our first church as pastor and wife. Thankfully, I heeded the professor’s instruction, then and now. Jeff and I took time to enjoy our journey by exploring the majestic Rocky Mountains while finishing Bible college. And now I find myself experiencing a new journey of transitioning from full-time ministry to the next chapter in our lives. It is my prayer and hope that my adult children and their families, and other parents and families, will take the time to enjoy the beauty in the moment. Even though there’s a lot of bad “stuff” going on in our world, I am so thankful that our Living God continues to bless us daily with so much beauty! Speaking From Experience from One Parent to Another: Take the time to enjoy the beauty in the moment with your kids. + Don’t overload your kids with too many activities, where you find yourself running from one to the next. + Schedule times to enjoy the simple pleasures of life. Take bike rides or walks together, pointing out all the beauty God has created. It’s amazing how kids are so delighted when they spot a frog and a mud puddle, both placed in just the right spot–if you know what I mean. + Camp out and rediscover the names of the constellations with your kids. Remember the “Big Dipper”? We are expecting our sixth grandchild in October. This 9-month journey is a reminder to me, of the greatest of God’s creations, the miracle of life. Nothing really compares to this moment, when a mother holds her child for the first time. Dear God, help me to enjoy each moment of every day. Help me not to miss the journey, by being too busy, or too loaded down with temporal concerns or selfish desires. Thank you, Lord, for the beauty in the moment of this new day.